Morning drive to Agra visiting enroute Fatehpur Sikri. Fatehpur Sikri, the birth story of this beautiful city is interesting. There, in a grotto in Sikri, lived a Muslim Saint , Sheikh Salim Chishti by name. 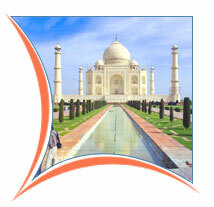 Morning sightseeing tour of Agra. Agra, the home of the immortal Taj Mahal, the inimitable poem in white marble is the first expression of love of an Emperor Shahjehan for his queen Mumtaz Mahal. This great monument was completed in 1653 AD. 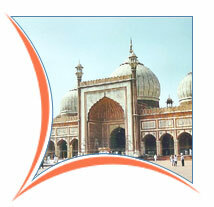 Transfer to the airport for flight to Varanasi On arrival, transfer to the hotel. Afternoon city sightseeing tour. Vara nasi, one of the oldest living cities in the world, believed to be founded 3000 years ago, is one of the 7 holiest cities of Hindus. A city of great wealth and religious importance when the Chinese traveller, Hiuen Tsang, visited it in the 7th century. Visit the Vishwanath Golden Temple, the abode of great God Shiva, Bharat Mata Temple, Durga Temple, Tulsi Manas Mandir and Banaras Hindu University. Early morning boat cruise on river Ganges. Thousands of pilgrims throng the water's edge, bathing, worshipping, meditating. The boat trip will cover various ghats including the cremation sites. Because every pious Hindu believes that to die in Kashi (Varanasi)and to be cremated on the banks of the Ganges is to attain release from the cycle of birth and death. Afternoon visit Sarnath Sarnath, 7 km from the city where Buddha preached his first sermon more than 2500 years ago. Morning visit Bhadgaon (Bhaktapur) means the city of devotees, situated at an altitude of 4600 ft., 13 kms east of Kathmandu. Durbar Square - the main Square of the city contains the Lion Gate with the lovely stone figures of Hanuman. 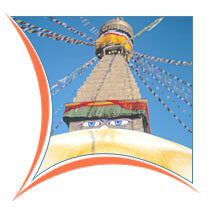 Boudhnath - the colossal Stupa, one of the biggest in the world, has the all seeing eyes of the Buddha. The shrine is ringed by houses of Goddess Mani Jogni. It is built on an octagonal base inset with prayer wheels and is situated 8 kms east of Kathmandu . Pashupatinath Temple - situated 5 kms east of Kathmandu on the bank of sacred Bagmati river, the temple of Lord Shiva with two tiered golden roof and silver doors is famous for its super architecture. 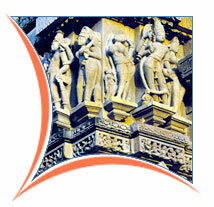 It is a centre of annual pilgrimage on the day of Maha Shivaratri.